The foreign ministers of Russia, France, Germany and Ukraine met in Berlin today to take another stab at peace in Ukraine. The U.S. is not represented, but President Trump’s presence will likely be felt in ways that he didn’t intend — and that Vladimir Putin will not appreciate. 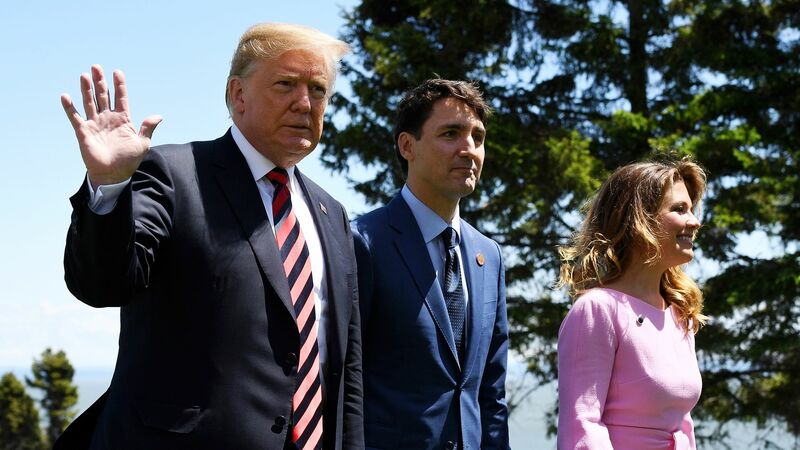 The big picture: President Trump’s suggestion that Russia be re-invited to meetings between the leading Western democracies got this year’s G7 summit in Quebec off to a tumultuous start. Like his previous attempts to improve relations with Putin, Trump’s latest diplomatic effort was so ham-handed that it will likely make international cooperation more fraught, even for Russia. If the idea was to bring Putin back into the club, then Trump’s effort was an immediate failure. All it got him was a reminder from the other leaders about why Russia was kicked out in the first place: its aggression against Ukraine. The impact: With his abrupt and imperious call to bring Putin back into the diplomatic fold, Trump has made European leaders who might be formulating their own overtures to Moscow look as though they’re taking orders from a deeply unpopular American president. Putin will now find it harder to patch things up with Europe, put the Ukraine issue behind him and get back into the club. Across Europe, pro-Putin populist parties find themselves associated with a tarnished brand.